What is culture? According to the Merriam-Webster dictionary, culture is the set of shared attitudes, values, goals, and practices that characterizes an institution or organization. As a health leader you influence your organizational culture both intentionally and unintentionally. The impact is happening whether you mean for it happen or not. So, how do you intentionally and positively impact your organizational culture? Last week, I was asked to speak to a group of security and information technology specialists in health care. They were learning the latest information about cyber security and how to protect their workplaces. I was asked to talk about “front-line staff cyber vigilance education” training. Also known as “how do we train our front-line staff to care about cyber security”? That is a culture question. Fact is, very few front-line health care workers would say they want to learn about cyber security. It’s hard to get clinicians and administrators to focus on a topic that does not have automatic resonance with their day-to-day activities. It’s a topic that sounds both boring and complicated. Many culture topics can initially appear boring and complicated. So, as a leader, how do you convey messages that your front-line staff can both understand and want to implement? You follow a three-step process. You can use this process for any culture topic. Stories connect us to a topic in a way nothing else can. 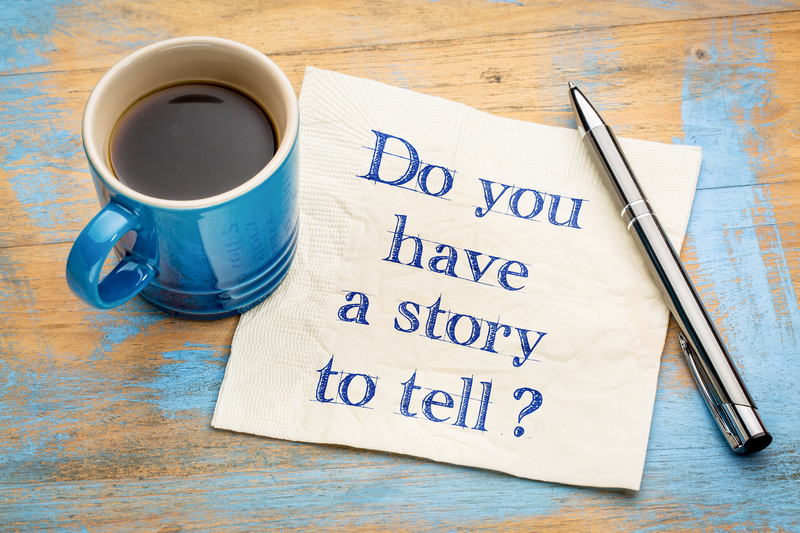 You need to tell a story as close to your team as possible. For cyber security, you want to share examples of incidents that happened to your team or to your type of organization or to the health sector at large. The closer to your team – the more impact the story will have. In cyber security, there are many stories you can use to engage your team. Use the worldwide WannaCry virus story from May 2017. In my storytelling, I explain that the attack did not target health care providers – that helps the audience get over their initial objection that no one is interested in them. I explain that it was a world-wide attack that targeted computers running Microsoft Windows by encrypting data and demanding ransom payments in Bitcoin. While health care was not an intended target, health care providers in the National Health Service in England and Scotland were a group that was hit hard. Up to 70,000 devices, including computers, MRI scanners, blood-storage refrigerators and theatre equipment were shut down as a result. The NHS had to turn away some non-critical emergencies. I then explain that there was a local hospital in Ontario hit by that Wanncry virus. Having myself heard representatives from that hospital speak at a conference, I tell their stories of how they were negatively impacted for weeks by that attack. While patient health records were not accessed by malicious hackers, their electronic systems were shut down in order to contain the impact. I then explain that Ontario health providers have experienced additional attacks after the 2017 Wannacry virus. I include stories such as the 2018 home medical services company that was hacked. The continuation of story shows that ransomware threats are ongoing and that the Wannacry virus was not an isolated incident. I also share stories of malicious actions against health care organizations attempted through LinkedIn or infected USB keys or public WiFi. After storytelling, you need to move into instruction mode. To positively impact culture, you need to provide clear action items. What specifically does your team need to do and not do? For cyber security culture reinforcement there are organizational activities beyond what front-line staff do such as IT system upgrades, software patches, IT security audits, physical security reviews and action. In the instruction phase it is essential not to muddy the waters with too much detail. Leaders with responsibility for culture topic implementation need to review all the relevant documentation. But front-line staff do not. Then, share these instructions through announcements, policies and training. After the instruction phase, you need public persistent reminders to positively impact culture. These I call “artifacts”. Sprinkled around your organization these symbols, images, and abbreviations remind your team of your stories and instructions. Artifacts can include posters, signs, and catch-phrases. For cyber security, one of the catch-phrases I use is “Digital Hygiene Saves Lives!” In the storytelling and instruction phases I include this phrase and explain what it means. Digital hygiene is like hand hygiene. Where hand hygiene requires vigilance in handwashing as a key component of patient safety – digital hygiene requires vigilance in following the do’s and don’ts for online activities as a key component of patient safety. Without that digital hygiene, the organization is exposed to malicious attacks which can negatively impact patient care (such as the WannaCry virus or other malicious activity). That catch-phrase can be used in posters, email reminders, newsletters and team meetings to reinforce the cultural shift. Culture is crafted and reinforced. By using storytelling, instructions and artifacts you can have a positive impact shaping your organizational culture.